January 29 – Unconfirmed rumours suggest FIFA is thinking about moving its headquarters from Zurich to Paris in the latest power play by Gianni Infantino. Last Friday, the highly respected French newspaper Le Monde quoted unidentified sources as saying the move was being orchestrated by Infantino and that informal discussions were ongoing with French president Emmanuel Macron. If the rumours are true it would actually be a homecoming after more than a century. The organisation was founded in the rear of the headquarters of the Union Française de Sports Athlétiques in Paris on 21 May 1904 and moved to Zurich 30 years later. According to the Swiss publication Le Matin, the idea of relocating to Paris is entirely fanciful. 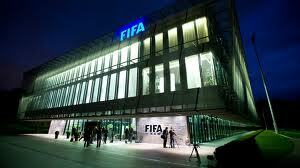 “FIFA has no intention of leaving Zurich,” a spokesman was quoted as saying. Which is probably correct given the advantageous tax situation in Switzerland and the fact that FIFA members would have to vote for any change.